CHINE – Xianyang - Shangguan Wan'er -- who lived from 664 to 710 in the Tang dynasty -- was a trusted aide to China's first female emperor Wu Zetian, and married to Wu's son, while having relationships with both the empress's lover and her nephew. As a sequence of murders, coups and affairs enveloped the dynasty, Shangguan Wan'er's husband Li Xian briefly became emperor -- only to be killed by his senior wife, who took power herself. She was deposed in turn by Li Longji, who killed both her and Shangguan Wan'er. 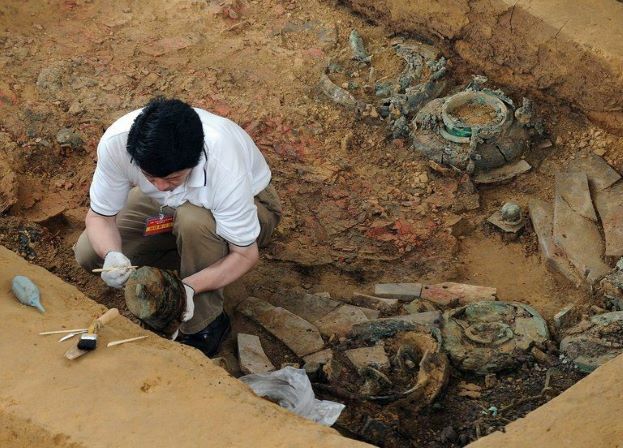 The site was discovered near an airport in Xianyang in northern Shaanxi province and confirmed by an epitaph, China Radio International said on its website. "The discovery of the tomb with the epitaph is of major significance in the study of the Tang Dynasty," the China Daily said, citing a historian specialising in the era, Du Wenyu. The grave was badly damaged, suggesting a "large-scale, organised" and possibly "official destruction", Geng Qinggang, a Shaanxi-based archaeology researcher told the China News Service on Thursday. Shangguan Wan'er was also recognised for her poetry. TURQUIE – Çattepe - A Roman Empire castle dating from the fourth century A.D. has been discovered in the southeastern province of Siirt’s Çattepe tumulus, which is close to the Botan Valley and will be submerged when the controversial Ilısu Dam comes online. “This is a tumulus from the fourth century A.D., the late Roman period. It is the last castle of the Roman Empire in the east,” said Ege University Professor Haluk Sağlamtimur. “This place is rich enough to fill a museum. There is everything you can imagine here, such as bronze artifacts, pots and pans, beads, metals, pins and silver artwork,” he said. “The data we have shows that copper sources in Siirt are very rich. We also found a set of game stones in one of the graves. This set includes 49 pieces and dates back [to antiquity]. We think that it might be the father of chess or a war game in ancient times. We will try to find out this year,” Sağlamtimur said. 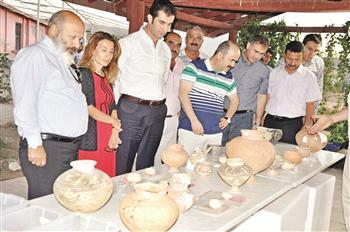 The professor also expressed his wish to see a museum constructed in Siirt. “We think that it is our right to want a museum in Siirt. If we had a museum, it would be filled with these artifacts found in the last few years,” he said. EGYPTE – Alexandrie - Alexandria's antiquities department has discovered a new archaeological monument in the eastern area of the city. 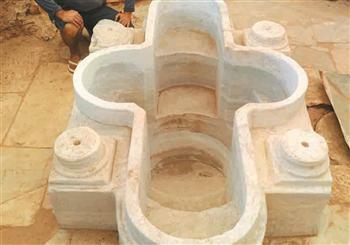 Archaeologists revealed several items, including cisterns, pottery remains, and a headstone. The items were transferred to Alexandria National Museum. All items belong to the Roman era. Mostafa Rushdy, head of Alexandria and Beheira antiquities department, said the discovery was found during an archaeological field survey to get permission for building there. Rushy added that the discovery reflects the greatness of Alexandria, which was the second biggest city after Rome during the Roman Empire. KAZAKHSTAN – Kumay River - Historic artifacts from the Turkish era have been found during archaeological excavations carried out near the Kumay River area, 120 kilometers away from the capital city of Kazakstan, Astana. The artifacts are now being examined. “Turkish texts written on the monuments that were erected for the memory of Bilge Kagan, Kültegin and Tonyukuk express that the welfare of the Turkish people depends on the unity of the Turkish people and Turkish land,” said Zaimoğlu. “In the Turkish tablets on the Altay, Sayan and Tanrı mountains, we see that earth, mountain, river and other resources are blessed. With the same line, they monumentalized their hero ancestors who dedicated themselves to their land and nation. Among them the best known are Turkish monuments located in Kazakhstan’s Merke and Jaysan, and eastern Kazakhstan’s Saryarka steppe. 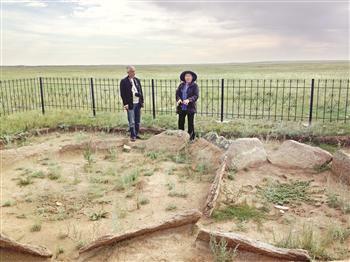 The archaeological excavations in the Kumay complex, started and headed by Dosimbayeva, reveal the examples of cultural layers from different eras. It is seen that remains from the Bronze Age and graves in different types are good enough to shed light on all phases of an era. The excavations have revealed rich artifacts such as cairns from the early Iron Age, graves from the Middle Age and remnants of big-sized structures. They reflect the culture of each era.” Zaimoğlu said ceremony areas and stone sculptures of Turks, which had been discovered in this area, were currently being scientifically analyzed. 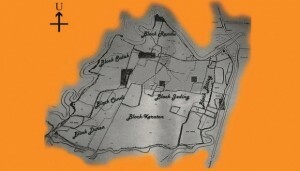 INDONESIE – Lumajang - Excavations are underway to unearth a fortress from the Majapahit period in Lumajang, East Java. EGYPTE - Mount Sinai - One of the world’s oldest monasteries has been forced to close its doors because of the deteriorating security situation in Egypt, devastating the economy of the remote surrounding area, it has emerged. St Catherine’s monastery was built by order of the Emperor Justinian I, who reigned from 527 to 565, on the site beneath Mount Sinai where, according to scripture, God spoke to the prophet Moses from a burning bush. But in July, Egyptian officials asked it to close its doors. The closure followed the removal of former president Mohamed Morsi, which sparked upheaval across the country and revenge attacks on Christian churches.